Sam Beam, the singer-songwriter behind Iron and Wine, pulled inspiration from the past for his latest release, a cover of "Hard Times Come Again No More." The song was written by Stephen Foster in 1854, and its theme of love staving off sadness and suffering is still relatable. Beam's "Hard Times" is soulful, and his soft vocals pair well with the choir that supports them, especially when he whispers, "Any day that you linger around my cabin door/ Oh hard times come again no more." 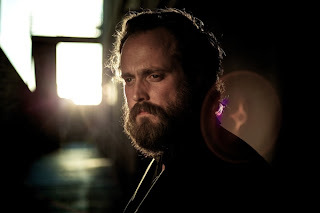 Iron and Wine recorded the track for the BBC America show Copper, which centers on an Irish-American detective covering New York's Five Points neighborhood in 1865. It stars Donal Logue of Sons of Anarchy, Franka Potente of American Horror Story and Ato Essandoh of Django Unchained. The series trailer will debut during the Doctor Who premiere on BBC America on Saturday and Copperpremieres on Sunday, June 23rd at 10 p.m. EST. "Hard Times Come Again No More" is on Iron and Wine's fifth album, Ghost on Ghost, out April 16th on Nonesuch. In support of the album, Beam will embark on a spring tour with dates in California, Pennsylvania, New York, Virginia, Massachusetts and Maine before he heads overseas for a European leg that wraps up in Berlin, Germany on June 5th.